Chocolate for breakfast sounds good to me. Yum! Looks yum! I think I've pinned around 15 of your recipes on pinterest and here goes another one. No I've got to try them all!! I always eat scones for dessert instead of breakfast. 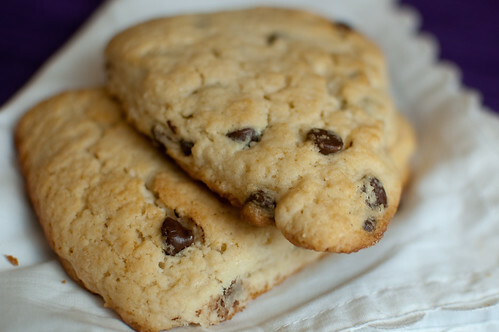 Especially with chocolate chips they can be awesome treats! these look fabulous.